Tuesday night at The Echo saw three rising artists grace the LA stage to a young and packed crowd. Sweat stained their shirts, perspiration gathered on their foreheads, and steam swayed to the music above them as the crowd grooved to Hana Vu, Madeline Kenny, and Soccer Mommy. At the start of the evening, a young crowd filed into The Echo as night slowly began to creep over the skies of Los Angeles. While the older fans trickled in as the show wore on, it was the especially young and especially brave who congregated close to the stage in the minutes leading up to Hanna Vu’s opening set. 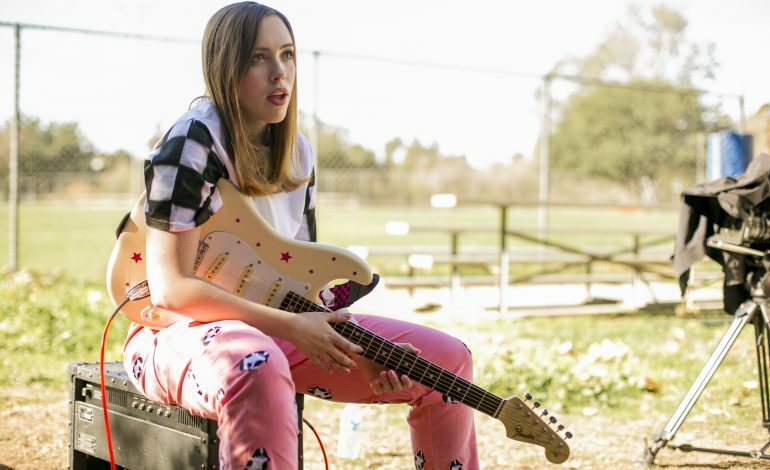 But those who showed for Soccer Mommy, the headlining act for the evening, had a long wait ahead of them. But just because it was long, doesn’t mean it was painful. After 45 minutes of Vu and company’s wavy brand of indie/surf rock, and a quick stage setup, Madeline Kenny took the stage. Like Vu before her, Kenny played to a small but growing crowd that was teeming with young Silver Lakeians who soaked up every drop of Kenny’s industrial riffs and soft vocals. With the opening acts accounted for Soccer Mommy finally took the stage to a packed crowd around 10:30. And from there on out, there was nothing but Sophie Allen’s mellow indie rock to help cool the sweating crowd for the remainder of the evening. Without much of an intro, Allen and her three bandmates launched into the first song of the night, “Henry.” An oldie but a goodie, the audience responded well to the backlog track, dancing and bobbing their heads as the sweat poured down their faces. The constant references to the extreme heat in this review must seem like overkill, but honestly, it was brutal inside The Echo. Bar none, every act commented on the stifling heat, and every member of the audience was sweating. But even though the conditions were less than ideal, not a soul left early during Soccer Mommy’s set. After “Henry” and “Try,” Allen played a handful of new tracks off of her most recent album Clean. The band ran through the major singles, “Last Girl,” “Your Dog,” “Flaw,” and “Cool.” As expected for the sold-out show, the audience ate up every sweaty second of the performance, clapping and singing along to the hits. At that point, there was only “Scorpio Rising” and the encore left in her set. Though it felt like a short ride, Allen gave fans something to jam to with her closing tracks, especially when her lead guitarist took the liberty to shred on the finale, acting as the perfect send-off for the night. And with that, the evening came to an end. Fans rushed through the doors, embracing the 72-degree air waiting outside, which felt frigid in comparison to the 10,000% humidity within the confines of The Echo. A special shoutout goes to the seven or eight guys who wore beanies the entire evening. Even though there was next to no lighting inside The Echo and the temperature easily scraped 90, these young men stuck to their guns. Way to risk it all for the sake of fashion, fellas.